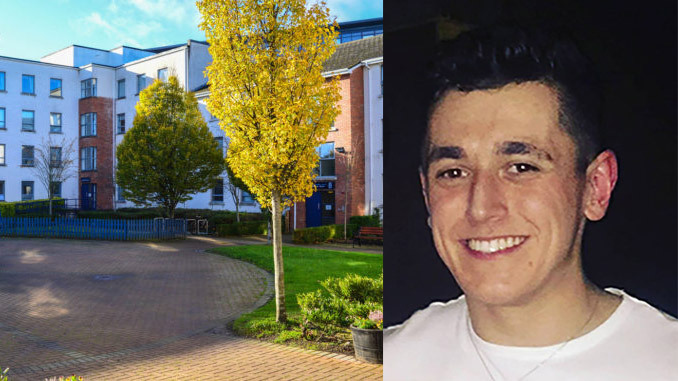 Cian Charlton, a Sports Science and Health student in DCU, was given a one year sentence fully suspended for 12 months yesterday after pleading guilty to drug possession. The 21-year-old was in possession up to €3,000 worth of illegal drugs including MDMA, Cocaine and Ketamine according to The Irish Sun. Gardaí seized “eight small bags of Ketamine and six large bags, 11 large bags of MDMA and ten small bags, and five small bags of cocaine” which Charlton was in possession of, as reported by The Irish Sun. Last year, Charlton’s DCU campus accommodation in the Hampstead residence was raided on the 15th of November by members of An Garda Síochána and Ballymun Drugs Unit. Prosecuting Garda Keith Morris received a search warrant for the premises from a District Court judge after telling Jude Pauline Codd that he was confidentially informed that Charlton was in possession of illegal drugs. Gardaí did a follow-up search of the house and found more drugs and €500 in cash, plus a list of people’s names, with amounts of money written beside them, on a calander. The man, originally from County Mayo, denied an intention to supply and allegedly stated that the substances were split into gram and quarter gram bags which made it “handier” for him to know what he was taking so that he did not accidentally overdose, according to The Irish Sun. He later said this was untrue, however, he “didn’t want to be known as a drug dealer” and that his reasoning behind being in possession with intent to sell these drugs was to make money easily as he was saving for a J1 Visa. Judge Codd stated that Charlton could have faced up to two and a half years in jail however she sentenced him to one year suspended for 12 months. Under these circumstances, he must maintain good behaviour and keep the peace. He must also attend a drugs awareness course where he will be supervised by probation services.